This cool-season perennial bunchgrass is native to the Montana foothills and grows up to four feet tall. Big bluegrass has an upright growth habit and produces a large, compact seed head. It’s considered drought resistant and adds height to any water-wise landscape. Big bluegrass tolerates a wide range of soils, as long as they’re well-drained. 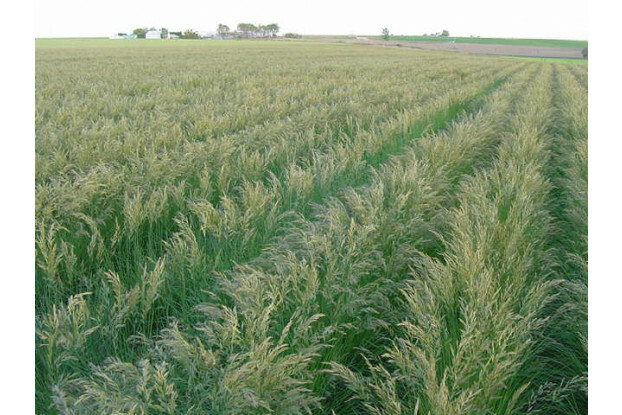 It provides palatable forage for livestock and wildlife, and its seeds are valued by birds and small mammals. It can be grown without irrigation in areas with at least 8 inches of annual precipitation.